Winter Storm Leon passed by us last night. It left behind 2-3 inches of snow. I still can't believe it snowed in South Carolina. On one hand, it feels like back home. On the other hand it feels like I have been duped into moving to a state with warmer weather when in fact this is the coldest winter for the state in a long time. I don't regret moving, but I sure do wish it warms up fast. My daughter was super excited to see snow when she woke up this morning. It's one of the things she misses from living in Connecticut. I took both her and her brother out to play and enjoy it while it lasted. I feel bad that I didn't have a sled. We left that behind because we didn't think we would need it down here. Now I have to remember to bring it back next time we visit my parents. If it snowed once, it could happen again. Crazy weather! I spotted some wonton wrappers the other day at the grocery store and on impulse bought them. I have never used them before, but I keep seeing all these cute recipes on Pinterest that use them and I wanted to give them a try. I was in the mood for some chicken parmesan. It seemed like a good idea in little cups. I did bake my cups before filling them up. I didn't want to be all soggy. 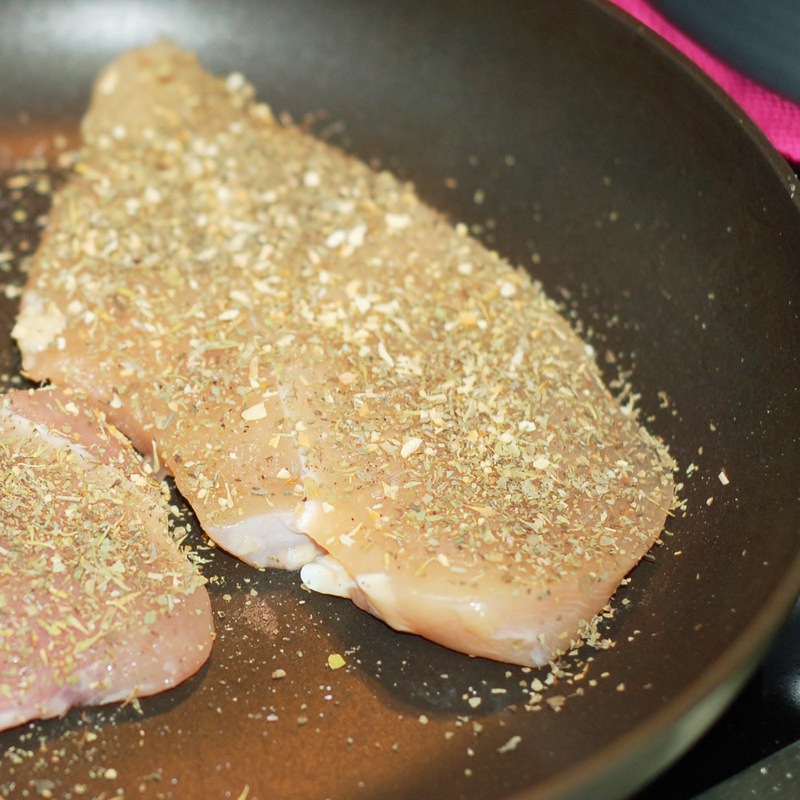 I bought chicken cutlets and they cooked up pretty fast in a skillet, so the prep work is not that bad. I had a ton of fresh mozarella in the fridge that I needed to use. It taste so much better than the shredded one in the bag. We use it to make pizza all the time. Freshly grated parmesan would have be great too, but I didn't have any on hand. I have not started to make my own pasta sauce yet, so this one is from a jar. Making my own fresh pasta sauce is on my bucket list, though. Once it's time to put the cups together, it goes pretty quickly. Just fill and bake again for a few minutes. I topped off the Chicken Parmesan Wonton Cups with a little seasoned Panko. This gave it a breaded taste, but the Panko bread crumbs don't come out dry like regular bread crumbs. You can top them with a little fresh basil before serving them. We ate some for dinner to try them out. My husband and daughter really liked them. The flavors of chicken parmesan are all there, the breading, the sauce, the cheese, and the chicken. The seasonings are just right and the crunchiness of the baked wonton cups just makes it seem like you are eating bread sticks with your meal. This recipe is a keeper. Perfect for Super Bowl game day or any party. Line two (24 cavity) greased mini muffin tin with the wonton wraps, pressing down gently to mold the shape. Place wraps in the oven and bake for 7 minutes, then remove and set aside. In a medium skillet over medium heat, place oil and let warm up for 1-2 minutes. Season chicken on both side with salt, pepper, Italian seasonings, basil and garlic. Add chicken to the pan and cook thoroughly. Approximately 5-6 minutes per side. Remove from pan and set aside to cool slightly. Chop fresh mozzarella into very small cubes. Then chop chicken up into small cubes also. In a medium bowl mix together the chicken, pasta sauce, and Parmesan cheese until thoroughly combined. 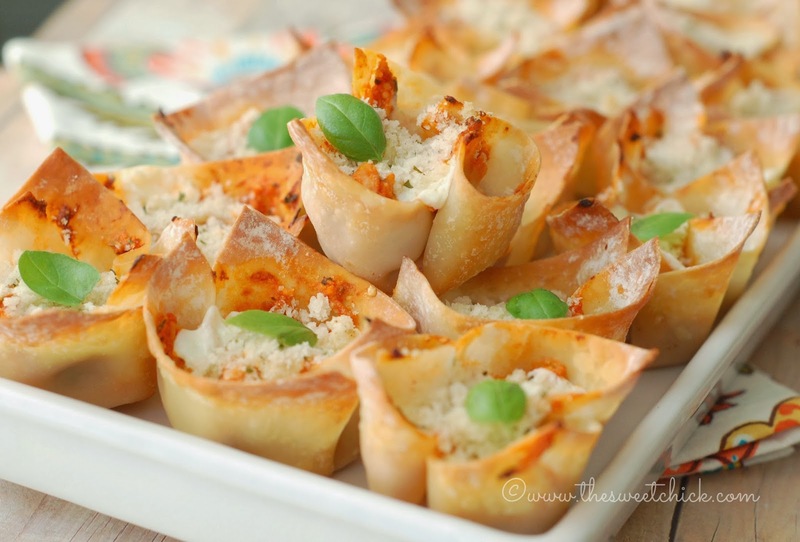 With a spoon, evenly distribute the chicken mixture and the cubes of mozzarella into each wonton cup. Sprinkle Panko bread crumbs over the chicken and cheese evenly distributing over each wonton cup. Remove from oven and allow to cool slightly before carefully removing from muffin tin. Top with fresh basil if you like. Serve warm. These look so interesting! Would probably need to test at least 3 or 6 ;) Our weather is crazy here too, we have only had one day of rain! Yeah, I think I tested more than that. They are a little addicting, and so easy to eat. We love your recipes, they are so yummy. Would be delighted if you could share your recipes with us at http://ipinrecipes.com/ a community for food bloggers and food lovers. With iPinRecipes.com your recipes will be published immediately without any editorial review. 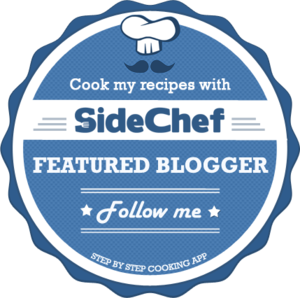 No need to edit, crop your recipe images, with iPinRecipes.com you can directly pin recipes from your blog. So why to wait, join our community and start pinning recipes. These look amazing! I'm off to pin this recipe right now to try later! Would be a great idea for Superbowl Sunday. Thanks for sharing! 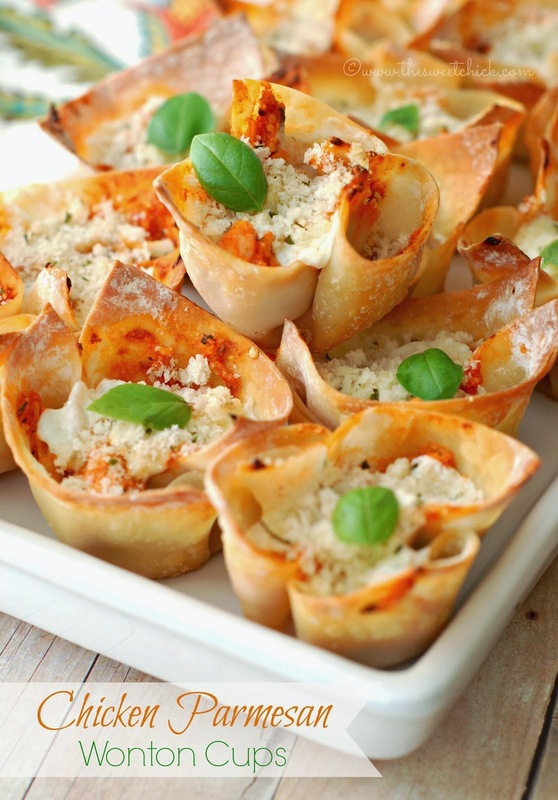 What a great idea for an appetizer! These look delicious and full of flavor. Great idea for the Super Bowl game day! These are just tooooo good. I have to make them. The perfect bite of Italian! Followed you over from White Lights on Wednesday. But you really can't stop at just one bite Lita! You are too funny Joy! Thanks. these look so amazing! pinned it right away! Visiting from the Treasure Box Tuesday link party. These look wonderful. Pinned to make in the future! Thank you Dawn. Hope to see you next Tuesday! These look amazing. I am going to try these. To make your sauce from scratch use your slow cooker. It makes it easier because you don't have to watch it all day. Just leave the lid off so it can thicken.